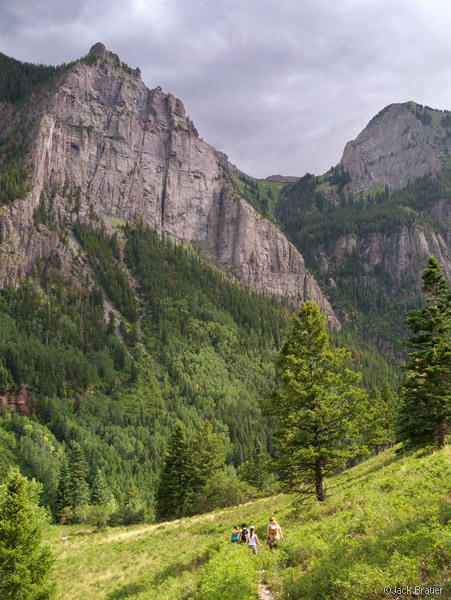 ..we’ve been going on a lot of day hikes around Ouray with Claudia’s mom and sisters. It’s been fun to show them around! Here we are on the Weehawken Trail. We even went for a quick road trip to Moab, despite the inferno heat! 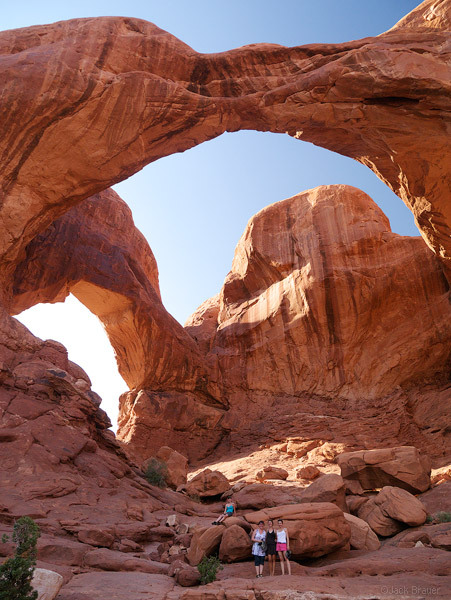 Her family has never seen the desert before, so Arches and Canyonlands National Parks were are good way to start! 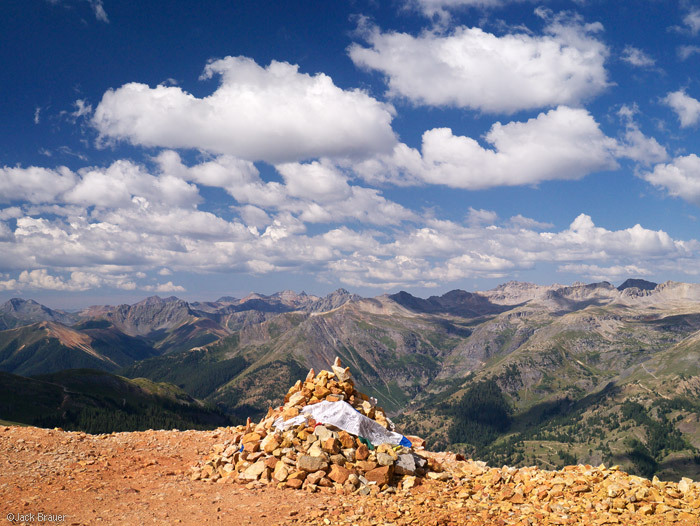 Here’s a summit cairn complete with Tibetan prayer flag on the top of Red Mountain #3. Posted in Colorado and tagged Colorado on August 13, 2012 August 13, 2012 by Jack Brauer. ← Previous: "Our Big Day!"